Asia now has its first ever MasterChef and the judges speak to MUHIBAH about the excitement of the first season. MasterChef Asia has certainly created a buzz among foodies and fans of the original series. 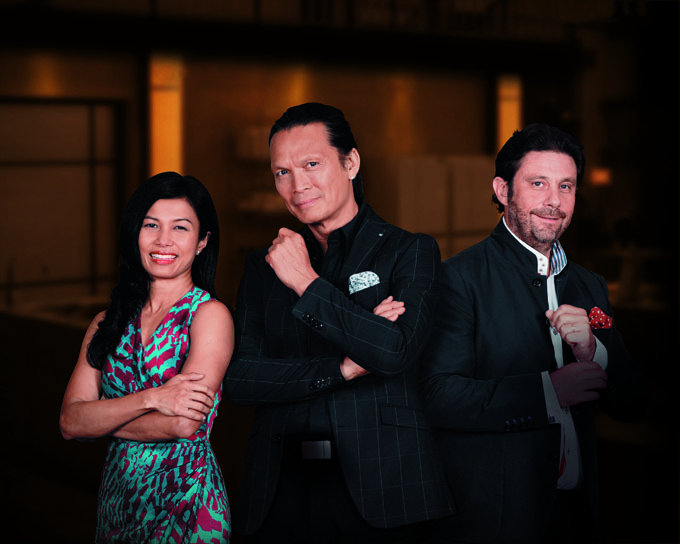 This regional competitive cooking game show, based on the original British show MasterChef, kickstarted its first season on 3 September, 2015 bringing a unique pan-regional flavour to the screen while keeping to the format of pitting aspiring home cooks from across Asia against each other for the title of the first ever MasterChef Asia winner. Episode 4 perhaps best reflected MasterChef’s philosophy. Filmed at Singapore’s famous Lau Pa Sat hawker centre, contestants set up their own stalls cooking three ethnic cuisines: Malay, Chinese and Indian. It is here that the participants had to think hard and outside the box to impress not only the judges, but also the public. If it were just about the food, MasterChef would have long been TV history. As Ménard pointed out, the competition goes beyond cooking. “It actually is about the sense of national pride each brings to the competition, because they all are representing their respective countries.” That alone, he says, is able to bring about a great range of skills, techniques and flavours since contestants come from diversified backgrounds. The home cooks participating in the MasterChef Asia Season 1 include one contestant each from China, India, Taiwan and Vietnam; two from Indonesia; and three from Malaysia, the Philippines and Singapore. MasterChef Asia airs Thursdays, 9pm (SIN/HK) on Kristal Astro Lifetime channel 709. For more information, visit www.lifetimeasia.com. There are currently no comments on ASIAN TREATS. Perhaps you would like to add one of your own?